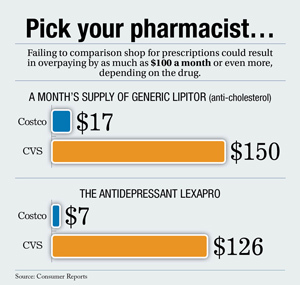 Where can you find the cheapest prescription drugs? Consumers can score more than deep discounts on bulk items at Costcothey also can score the best savings on prescription drugs compared to other pharmacies. Consumers can score more than deep discounts on bulk items at Costco—they also can score the best savings on prescription drugs compared to other pharmacies.